“The Mate 20 Pro and P20 Pro helped bring smartphones to the next level,” Walter Ji, CEO of Huawei’s Western Euopean consumer business, said at a briefing attended by TechRadar Pro at the P30 and P30 Pro launch event. Ji notes that Huawei shipped more than 206 million units globally in 2018, bringing it to the cusp of the top spot, and hopes the new devices can push the company that little bit further. 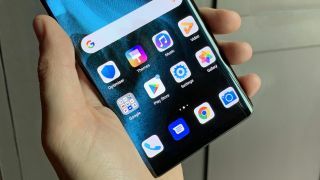 The company famously invests heavily in R&D for new releases, with a Huawei executive telling TechRadar Pro recently that the company has no plans to slow down its spending as it looks to be a world leader in 5G and other technologies. This continued innovation and progress is what Ji hopes will keep customers returning to the company to snap up its new devices and push it to the number one spot. Ji also revealed that Huawei is planning to open a host of new “experience stores” where customers can get to grips with the company’s products and services up close. Plans for “one or two” flagship stores in top European countries are already well underway, with openings set for later this year. “When we talk about being number one, it’s more about our experience - we always challenge ourselves to how we can invest and develop the best products,” he adds.